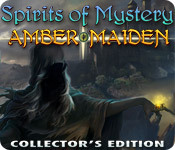 Spirits of Mystery: Amber Maiden Collector's Edition is rated 4.1 out of 5 by 30. 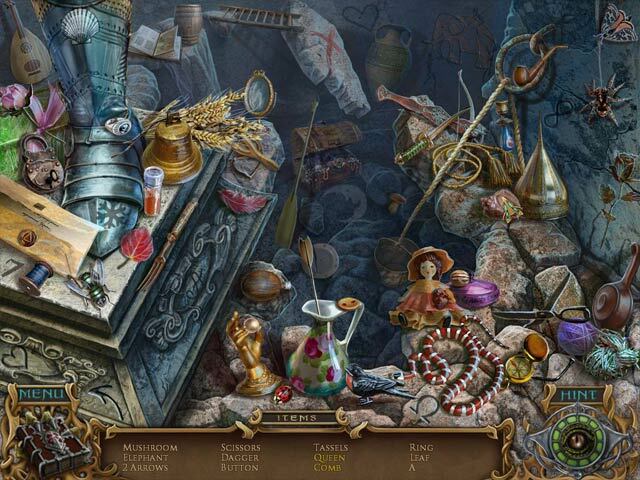 Rated 5 out of 5 by Majestyx12 from My kind of Game, 35 Hidden Objects I counted 35 hidden objects. 29 in the main game and 6 in the bonus. When I read reviews that there were a lot of hogs and I played the trial, I just had to have it. So many that most times there is one right after you finish one. I like sitting and looking at beautiful art filled page and click item from the list. It's relaxing. They use the same hop location more than once. I also enjoyed the puzzles. Not a lot of those but they were fun. Some examples are a Octopus that plays instruments and you have to copy what he does. Pick 3 pictures that relate to each other. Portrait puzzle, matching. I also found the bonus chapter fun. Puzzles-ball in a maze. Click on symbols before they change. This game is from 2012 I think. They did things different then. Long wait on hints and skips. The hint won't lead you around. No Map. Not a lot of extras but they have a very good and detailed Strategy Guide that includes locations of Hops. 4 music tracks, 7 wallpapers, 3 screensavers and 13 concept art. No replay of hops or puzzles. It worked fine on my system Windows 10- no problems. 7 Chapters + Bonus Chapter. 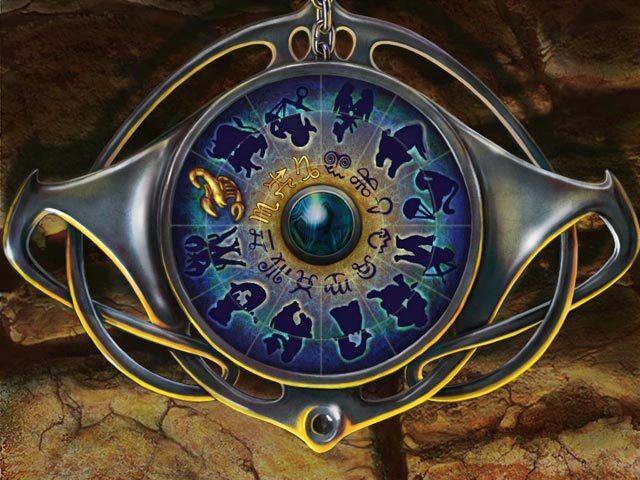 I don't think you will like it at all if you don't like Hidden Object Puzzles. Rated 5 out of 5 by lala1st from Fun game I love this game. Visual is nicely done and the background music compliments every scenes. As an artist, I have to be visually captured first. And only then will I continue previewing the game. Rated 5 out of 5 by neilskinut from really good game I bought this game after playing Song of the phoenix. I enjoyed both of them. Not too much back and forth and not that difficult to play. Good HO game. Worth the money. Rated 5 out of 5 by Boomer1097 from Fun with Amber This game is so much fun. You're a princess trying to save the kingdom from the curse of an evil witch. 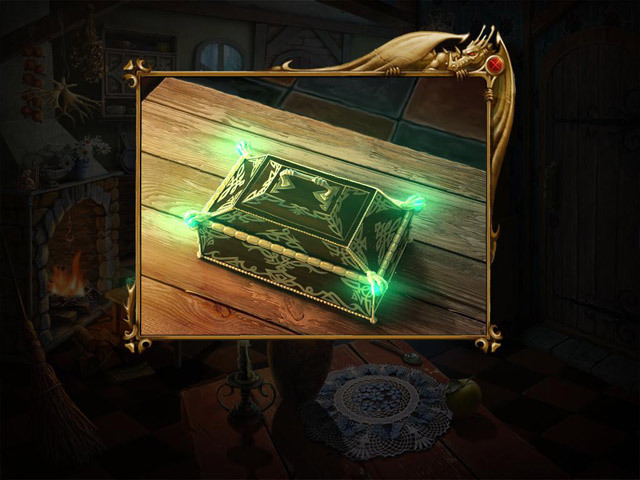 There are HOS, mini games and potions to keep you entertained on your journey. The HOS and mini games were excellent. The voice overs and cut scenes were well done. The background music was not too annoying. The ending was good. The bonus chapter was rather short, but loads of fun. It was definitely worth the price of a CE. There is a journal which is helpful. There is no map, but you don't really need one. My only annoyance with this game is they tipped their hand too early on the twist. I wish they had kept things hanging a bit longer. Overall, I really enjoyed this game and highly recommend it. Rated 5 out of 5 by snow_white_rose from Can't go wrong playing this game. I have to say this game was a lot of fun! It was very short though compared to its sister game (Spirits of mystery: song of the phoenix.) I have both games and both are collector's edition. I would recommend you not buy the CE for Amber maiden. The extras were not worth the money and the ending was poorly done (ended abruptly# with no feeling of an accomplished ending. Song of the phoenix has a very cute ending in the CE #I wanted to pull that cutie out of the screen I tell ya hee-hee-hee) Amber Maiden had A LOT of HOG where as Song of the phoenix had more of a variety of games, puzzles and hog. Both games are worth having in anyone’s collection that likes HO/adventure games. Rated 5 out of 5 by roesbud from Great Game By far my favorite game. Made it through without skipping any puzzles. The music is enchanting and the story is engaging. The graphics are wonderful. Can't say enough good about it. Some may want more challenge . . but this was perfect for me. The Collector's Edition is worth buying. The extra play was very satisfying. Rated 5 out of 5 by XCalburLdy from Awesome HOG Adventure Game This was one of the first games that I had bought when I first joined Big Fish. However for some reason, I didn't play it until the sequel came out. Well, now that I have played it I can't wait to play the new one. This game was totally awesome!!! I loved the storyline, the graphics were excellent, loved the music. It was a bit of a challenge but not so hard that I got frustrated. The HO scenes were clear and not very small. I played the game through in a day and played the bonus content. It was well worth my time. I don't think I have enjoyed a game this much in a long time. It is one that I will replay and I would recommend it to everyone. There are 2 difficulty levels of play. Hints and sparkles if you choose. Good for both novice and expert players.